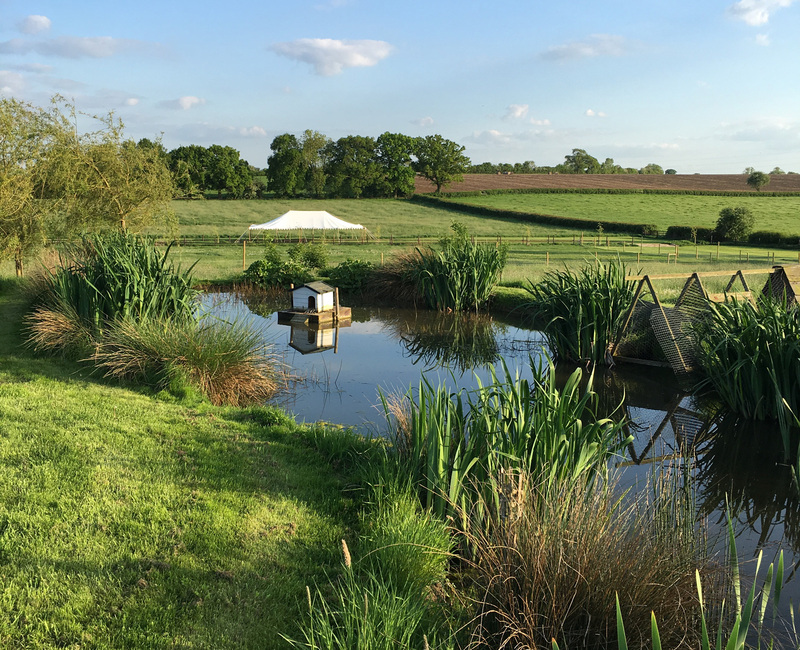 Welcome to East Northamptonshire’s newest venue for outdoor weddings and celebrations. New for 2019 is Home Close Field, set in a ten-acre small holding on the edge of one of the pretty village – Brigstock. Once a dairy, and since then a Herb Farm, Home Close Field has gracefully evolved into a unique outdoor wedding venue, ideal for couples who want a rustic and truly romantic spot in which to exchange their vows. We also have a secret garden space for really small weddings who do not want the full monty. 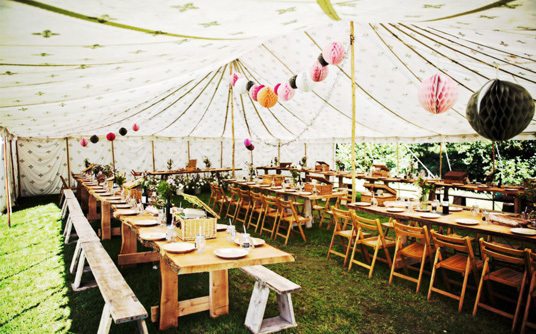 Our Vintage canvas & pole Raj-style marquee oozing charm called Rajni is available for your exclusive use in our field, however we are happy for you to hire in an alternative structure such as a Yurt or Tipi. We also have a quirky fully stocked bar on the premises. We are also happy to hire Rajni the marquee out to other venues only. You then can tailor and style your wedding to make your celebration to unique to you. 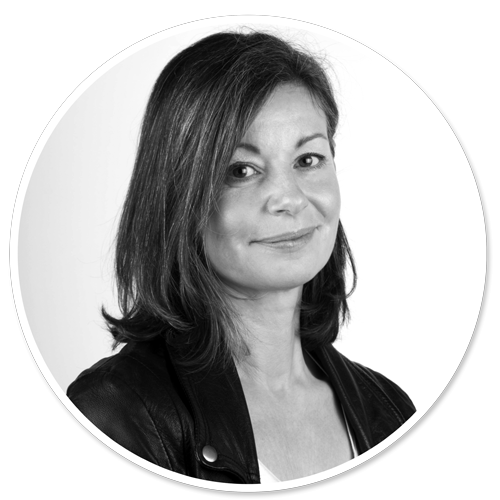 Our head honcho Nicola has great contacts for everything from vintage props, various styles of furniture, flooring, lighting and fabulous loos. Catering can be street food to fine dining, what you feed your guests is entirely up to you. In fact, it’s not just humans that we welcome to Home Close Field – we love to meet your dogs and even horses too! Likewise, we would love to introduce you to our resident llamas and retired Donkeys. After a career to date in the wedding industry, in various roles, Nicola is now venturing into a wedding business all of her own! With Rajni the marquee, she can spend more time outdoors in the beautiful countryside surrounding her own home. Nicola is married with one husband, one charming jack russell, two nearly grown-up daughters, two white doves and three sociable llamas. Our wedding venue is located in the charming Northamptonshire village of Brigstock, a stones throw from Corby, Kettering, Oundle and Thrapston. Please contact us for an appointment to view our wedding venue, or visit us on one of our regular wedding venue open days. Wedding guests please check our contact page for information on parking and venue entrance.